Painted in Japan, these limited edition bomber jackets are the highlight of Brioni’s Fall Winter collection. Brioni’s Creative Director Brendan Mullane’s journey to Japan has inspired the brand’s entire Fall Winter Collection 2014-2015. More particularly, it was his travels in Kyoto, where he observed local artisans who follow 450-year-old traditions of handcrafting kimonos, which shaped the new collection. Mullane imagined the colours and art of these artisans on Brioni’s design. 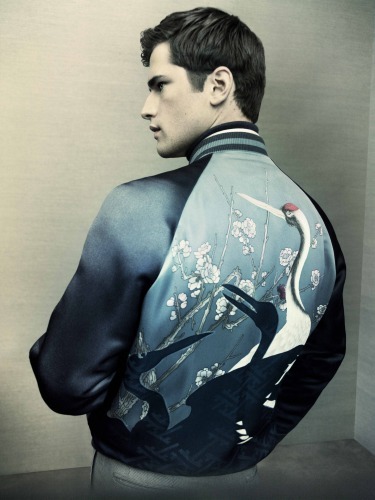 The bomber jacket in this collection thus features eastern patterns harmoniously flowing down its silk – cranes, cherry flowers and bamboo canes – all hand-painted. The refined scenery delicately blends in with hand-embroidered logo of Brioni, lying concealed within the white wings of a crane. Each Brioni bomber is crafted with immense passion and labour; it takes 45 days to complete every piece. They are hand-painted in Japan; conceived and realised in Italy. 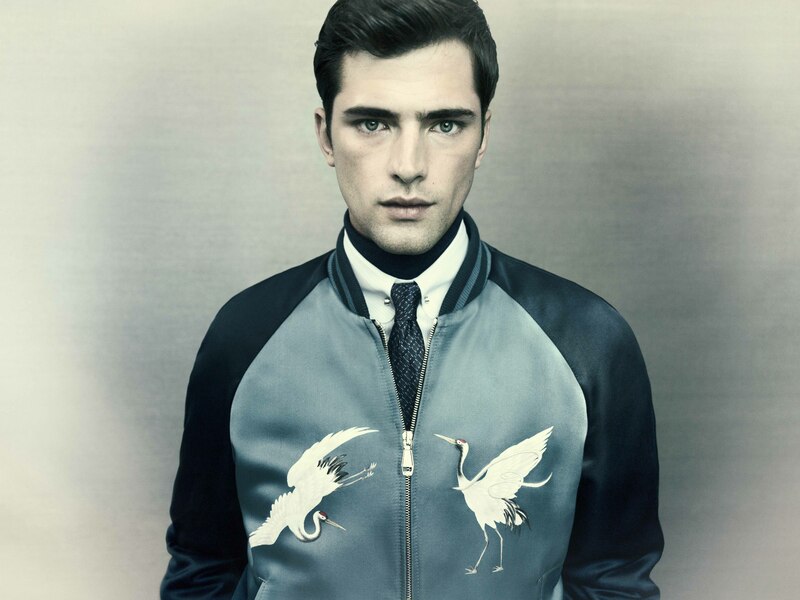 It takes Brioni 45 days to create this hand-painted bomber. The bomber has knitted cuffs, collar and waist underline that give it a relaxed character. It can easily be combined with shirts and formal wear. The hand-painted bomber is available in 20 styles. A limited edition piece, it offers a mix of style, luxury and refined elegance. The jacket will make a definitive statement in any man’s wardrobe. Brioni products can be ordered online from their website. Tagged Designerwear, LifeSpice, Limited Edtion, luxury, Sartorial Notes. Bookmark the permalink.